At RedGuard, we take safety seriously, even down to saying that safety is in our culture. One of the ways we measure that is our TRIR, or Total Recordable Incident Rate. As a manufacturer of blast-resistant buildings, it makes sense that knowing our safety rating would also be important to our customers. After all, if a company won't share their safety rating and they make a product designed to keep you safe, you're already starting on the wrong foot. So, as you can imagine, "What's your safety rating?" is a question our team gets asked fairly often. Here's how we approach that. OSHA, or the Occupational Safety and Health Administration developed the TRIR formula. It is a calculation used across all industries for record-keeping purposes. To understand what that means and the impact it can have on our employees and business, let's examine how it works. The TRIR calculation begins when an OSHA Recordable injury occurs, so if your company had no injuries on the job, your TRIR would be 0.00. An OSHA recordable injury or illness is defined as a work-related injury that requires medical treatment beyond first aid. 100 employees, working 40 hours a week, for 50 weeks. 1 X 200,000, divided by 336,284 = 0.59. The number 1 above would mean that for every 100 employees, 1 employee has had a recordable injury or illness. 2012 - 2 injuries, 70 employees and 169,000 hours = 2.36 TRIR. 2014 – 2 injuries, 276 employees and 663,000 hours = 0.60 TRIR. Why is the TRIR Important? 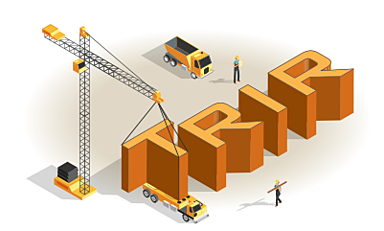 Although the TRIR is a lagging indicator, the primary value is to evaluate and quantify a company’s safety performance, both internally and externally. TRIR ratings that approach or exceed the industry average can also trigger OSHA inspections, which can be comprehensive. All clients require a three-year average so that they can see trends in their contractor’s safety programs, hopefully with positive trends. Those numbers put the three-year average at 1.56 (12 injuries). What is the RedGuard TRIR? What is the RedGuard TRIR Goal? We keep our TRIR goal below the number that any of our clients require, at 0.9. In addition, our EMR goal is also 0.9, and we’re currently at 0.89, our highest year since 2013, which was at 1.0. EMR, or Experience Modification Rate, has a substantial impact on a business because it is a number used by insurance companies to gauge both past cost of injuries and future chances of risk. The lower the EMR number, the lower the workers' compensation insurance premiums will be. An EMR of 1.0 is considered the industry average. How does the TRIR fit into the RedGuard Culture? 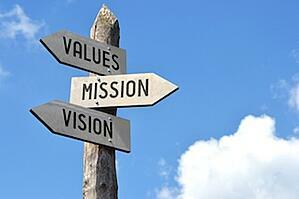 The TRIR reflects a company’s core values, culture, and the employer’s commitment to that culture. There are a few things that either a low or high TRIR should clue you in on. If you're searching for a safety-related product, especially something as high profile as a blast-resistant building, we encourage you to inquire about the company's safety rating. Take into consideration all of the factors above. If the rating isn't a TRIR, but some other format, be sure to ask what the elements are used to create that rating. So if you're wondering what to look for in a BRB, it's important to remember that not all BRBs are created equal. If you have any questions about TRIR, we invite you to schedule a quick consultation with one of our industry specialists.